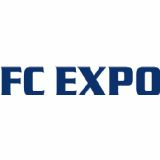 FC EXPO is world's largest international exhibition and conference specialised in Hydrogen and Fuel Cell technologies. Fuel Cell manufacturers, automobile companies, and other fuel cell related companies all gather from worldwide to source the cutting edge technologies and ideas for their products development. Gather at FC EXPO and grab the business in future promising hydrogen and fuel cell industry!